Rudolph’s Revenge is a 30-mile or 40-mile mountain bike race held on the Ray Roberts Greenbelt Corridor, the road between the FM455 Greenbelt access point and Isle du Bois State Park (FM455), the road in Isle du Bois State Park (from the park entrance to the DORBA trailhead), and the DORBA Trail at Isle du Bois. This year, it was held on Saturday, December 20th, with a start time of 9:00 A.M. Temps were in the low 40s and it was overcast and damp. 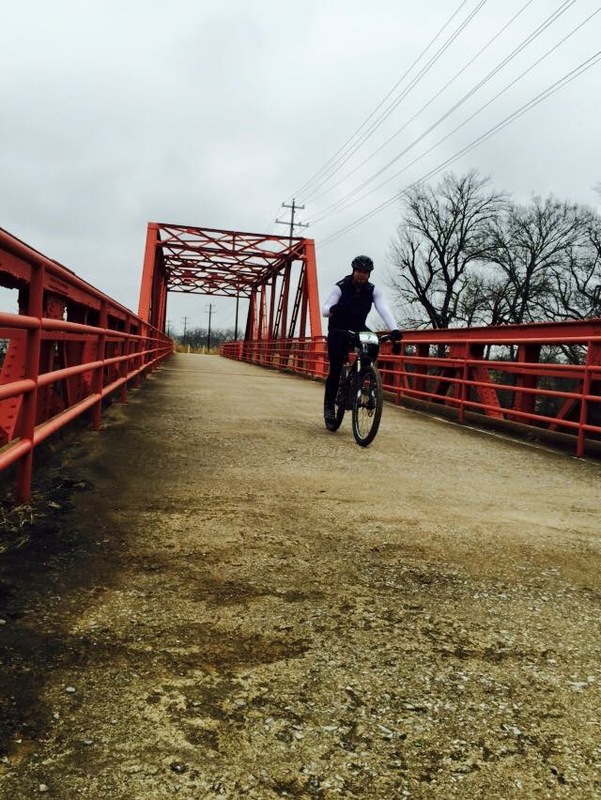 The 30-mile version began with a mass start from the red bridge at the FM428 access point of the Greenbelt Corridor. The start was very “low-key” compared to many XC races, with very few sprinting from the onset. Even those that did, quickly realized that the open areas of the Greenbelt trail would be better experienced in a drafting pack, and let the main group catch up. Drafting was very important on the greenbelt and the initial road portion of the trail. Riders that did this well had significantly more energy reserves for the upcoming single track and the return on the road and Greenbelt gravel. 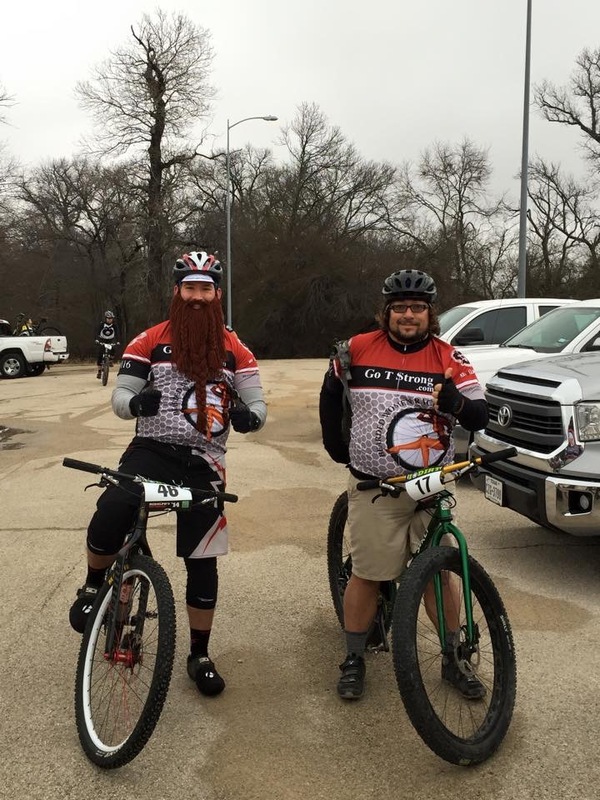 After riding the Greenbelt and some road (around 9 miles) from the FM455 access point to the park, into the park, and all the way to the trailhead, the single track portion of the race began. Isle du Bois is a demanding trail both technically and aerobically, although more so technically. It is very well balanced with climbs and descents, and doesn’t have an abundance of “lung-busting” extended climbs or open flats to “pound.” The technical aspect of the trail is largely due to the short, rocky climbs and descents in the D and E loops of the trail. There are many and they are tricky. I walked 3 or 4 sections after putting a foot down. I got the impression that increased familiarity with the trail would help with that, although it would be technically difficult nonetheless. The Isle du Bois trail is around 10 miles and is fantastically fun. It’s a great place to destroy your legs because you’re having a blast while you’re doing it. Shawn McAfee and his family provided pancakes and coffee, and The Sock Guy provided some free socks for the riders. Shawn also used your entrance fee to work an arrangement with the state park to cover all the riders entries to the park. There were about 50 total racers in the 30 mile and 30ish in the 40 mile. Benjamin Leach, Nick Castro, and Evan Blackard. Jesse Bernal from BWR is the trail steward at IDB and does an amazing job. There was rain leading up to the event that threatened to move the race to its backup date, but in the end, the race was a “go” and the trail was in fantastic shape. Thanks, Jesse. I would highly recommend this race: multi-discipline, higher than average XC milage, in a “race void” time of year, held on a fantastic trail, and staffed by some really friendly people. 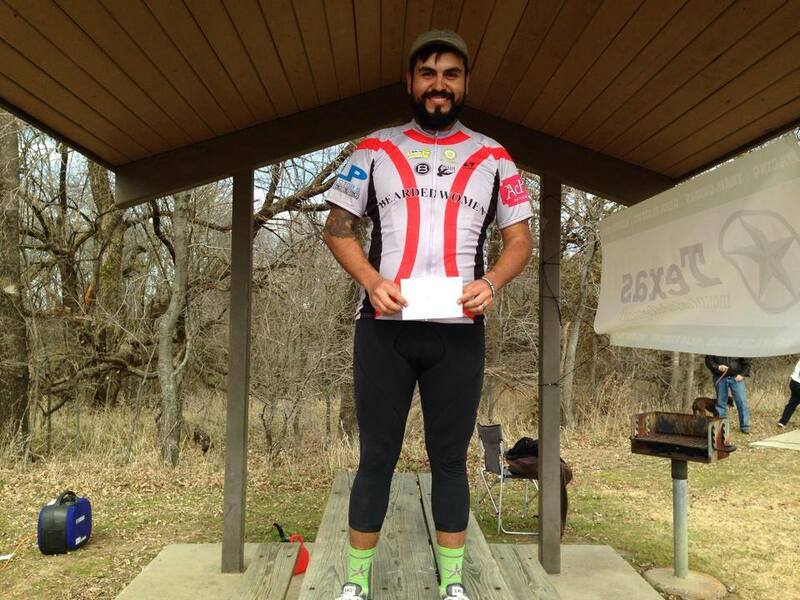 If you’ve ever ridden or volunteered for a Spinistry event you already know that Kevin Lee (Spinistry’s founder) is notoriously guilty of putting on some of the most grueling cycling events south of the Red River. Texas Chainring Massacre, Red River Riot, Hell on Wheels 100, and Midnight Massacre are just a few of the races in his repertoire; but none come close to the insanity that is the Sansom 66. To the untrained eye, the Sansom 66 looks like any other 60ish mile endurance race, but to the frequenters of this trail this is 66 miles of pure agony. Marion Sansom Park is 11 miles of rocky, loose, technical, and fast descending single track located in Fort Worth, Texas. It is also infamously known for having near the edge, fall off a cliff, super fast, flowy trail. If you’ve never had the chance to ride here, I highly encourage you to make the trip, preferably with someone that knows the trail. Earlier this year three of our very own Bearded Women Racing members Randy Davis, Braden Barnett, and I took on the challenge of the Sansom 66. However, being only mere mortals, we only signed up for the 33 miles option, which proved to be more than enough. The day started with cool temperatures and brisk winds that seemed to cut through even the best of windbreakers. As riders dawned their layers of long sleeve shirts and thermals the anxiety started to compound as it does with most race days. A few minutes before the race began, Kevin Lee gathered the racers around for the traditional racer’s meeting in which they gave a moment of silence for the late, great Ray Porter, a Dallas racing legend. In honor of Ray, his #1 race plate was retired from Spinistry events… a genuinely respectable act by Kevin. Soon the race began with a short start loop that shot the racers straight into the racecourse. The degree of difficulty was quickly realized when racers began to bottleneck on technical sections and climbs that weren’t cleaned by the less experienced riders. Thankfully the field of riders was small and the traffic diminished within a few minutes. At this time, Bearded Women Racing was pretty well spread out. Braden and his Ti Lynskey bike were making great time and were in the lead pack. Randy was also doing well on his scandium/carbon Salsa and was staying competitive in the middle pack. Meanwhile, I was trudging along in the back of the pack on my Niner carbon single speed because of a flat tire late in the first lap. I eventually recovered from this and fixed my puncture, but never really got back into the race because I had lost so much time. 3 laps later our racers slowly started crossing the finish line looking beaten, but elated at the same time. Braden absolutely crushed the race coming in with a time of 3:57:07 which earned him a place of 17/28. Randy also had a strong showing earning a 22/28 placing with a time of 4:28:29. I, despite the mechanical troubles I encountered with two flat tires, earned a 25/28 place with a time of 5:10:50; respectable time for a single speed. Perhaps I would have had better luck if I had registered in the single speed category.